Alisha Markell Neil and Corderro Dante East were arrested at the Best Western in Sebastian and charged with drug trafficking. SEBASTIAN – Two people were charged with drug trafficking after police found cocaine, heroin, and methamphetamine in their hotel room Wednesday at the Best Western Plus in Sebastian. In addition, East was charged with the sale of heroin. “A month’s long investigation culminated in the arrest of two Brevard residents who have been supplying a variety of controlled substances to local purchasers, some who may be resellers. Cocaine, heroin, methamphetamine and various forms of marijuana were seized in trafficking quantities during a subsequent raid at Best Western Inn & Suites on US 1 following an undercover buy. Also seized was a large quantity of cash and a vehicle,” Commander John Blackledge told Sebastain Daily. Neil’s bail was set at $1,160,000, and East has a bail set at $1,010,000. 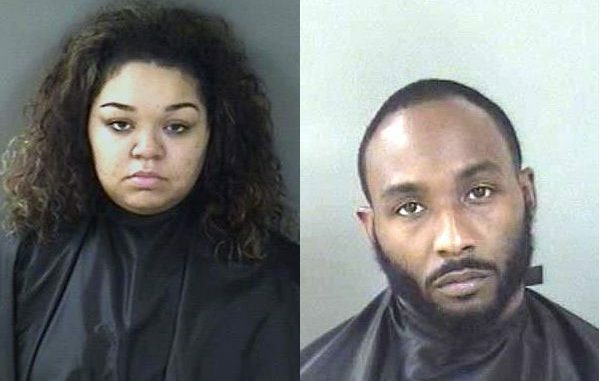 Sebastian police arrested the couple at Best Western Plus, located at 1655 U.S. Highway 1, while working with an informant who bought heroin from East inside a room, according to arrest affidavits. Investigators applied for a search warrant and entered the hotel room where Neil and East were sleeping about 2 a.m. Wednesday. 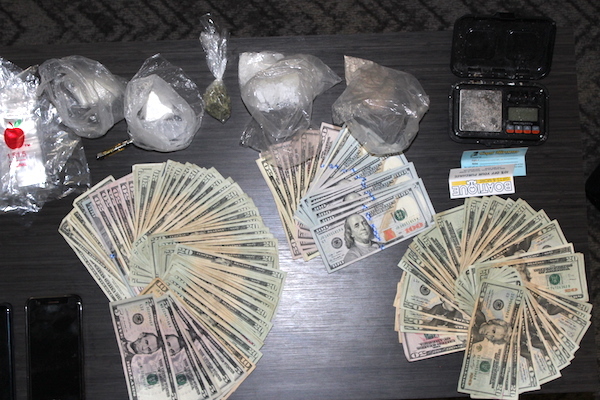 Sebastian police seize drugs, cash, and a vehicle. Image courtesy of Sebastian Police Department. Police discovered 24 grams of heroin, 59 grams of methamphetamine, 22 grams of powder and crack cocaine, 4 grams of marijuana and a vape pen filled with THC. Also in the room was $4,600 in cash, a digital scale, and small plastic bags. Neil told investigators the drugs were hers. There is intelligence indicating that East had been selling here at various locations during the past year, according to Blackledge. There is no indication that any employee of Best Western was involved and the management was cooperative during the entire incident. East would sneak the purchasers in through a side door near the street. Anyone with information regarding this or other drug activity is asked to contact Detective Mike Brandes at 772-589-5233, or call Treasure Coast Crime Stoppers at (800) 273-8477. You can receive cash for crime tips and remain completely anonymous. As of Wednesday evening, Neil and East remained in the Indian River County Jail.